Product prices and availability are accurate as of 2019-04-22 06:35:50 UTC and are subject to change. Any price and availability information displayed on http://www.amazon.com/ at the time of purchase will apply to the purchase of this product. 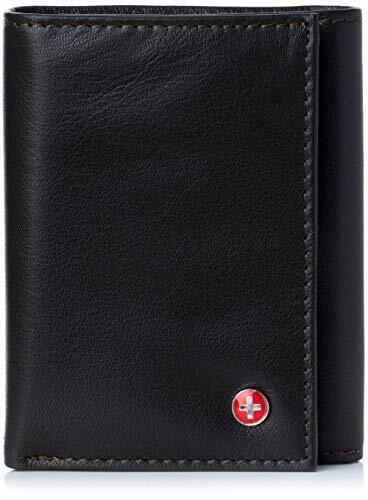 Extra Capacity Trifold Wallet By Alpine Swiss Product Features: Genuine Leather SPACIOUS - Our extra capacity trifold wallet is designed to have ample card space with the silhouette of a classic trifold and measures 4 1/8" x 3 3/8" x 1". FUNCTIONAL - Features one full sized lined bill section and a center flap that adds extra capacity to a traditional trifold design for a total of 10 card slots and 2 ID windows with thumb cut out to easily access ID cards. 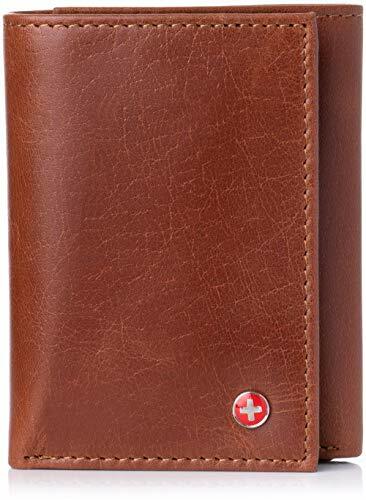 DURABLE QUALITY - Crafted from the finest quality genuine leather, this trifold wallet will age beautifully as it is worn. STYLISH - Available in a variety of colors, we have the perfect wallet to match your personal style. Alpine Swiss emblem outside. A PERFECT GIFT– Comes neatly packaged in Alpine Swiss giftbox. 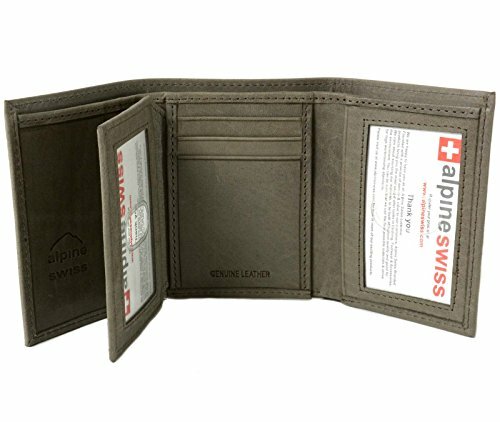 MSRP $45.00 Alpine Swiss donates 2500 meals every day to hungry children in the U.S. and around the world through our partnership with Children’s Hunger Fund. These meals are hand delivered in a Food Pack, which will contain enough food to feed a family of 4-5 for a week to the homes of the needy by trained volunteers in their community, establishing relationships that foster genuine care. Your purchase fuels this effort! Thank you! 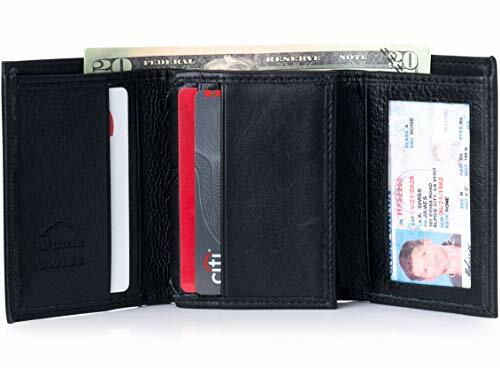 SPACIOUS - Our extra capacity trifold wallet is designed to have ample card space with the silhouette of a classic trifold and measures 4 1/8" x 3 3/8" x 1". 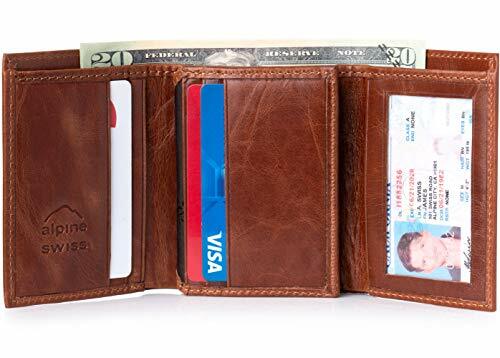 FUNCTIONAL - Features one full sized lined bill section and a center flap that adds extra capacity to a traditional trifold design for a total of 10 card slots and 2 ID windows with thumb cut out to easily access ID cards. 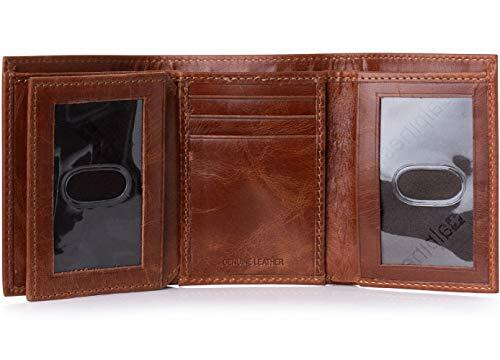 DURABLE QUALITY - Crafted from the finest quality genuine leather, this trifold wallet will age beautifully as it is worn. STYLISH - Available in a variety of colors, we have the perfect wallet to match your personal style. Alpine Swiss emblem outside. A PERFECT GIFT - Comes neatly packaged in Alpine Swiss giftbox.